Treat your skin to a moisturizing, flower infused treat with this Floral Rose Clay soap. Made with rose petal infused olive oil, this soap contains rose clay to add extra skin nourishing power. Rose clay is used to help absorb oils, gently exfoliate and purify skin. Rose geranium and jasmine essential oil give this soap a floral scent. Made with moisturizing oils, and rose petal infused olive oil. 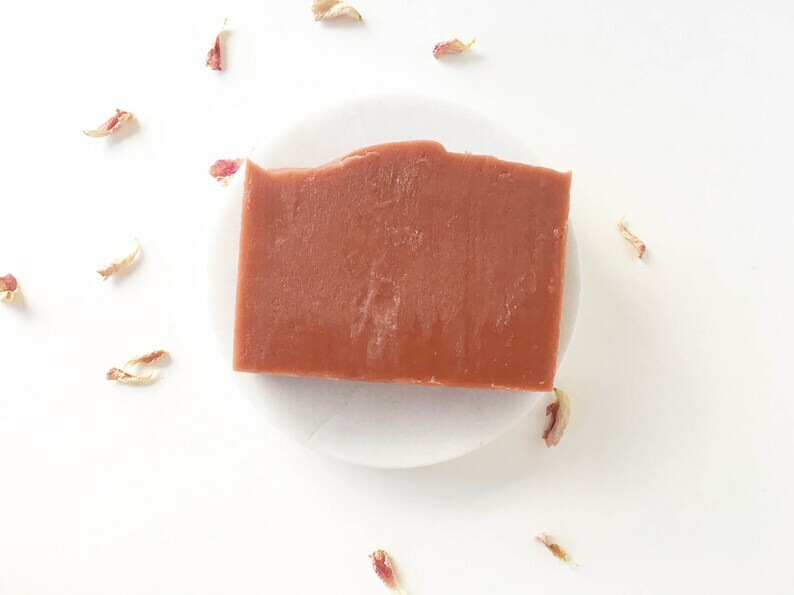 The rose petals infused into the olive oil in this soap are rich in antioxidants and vitamin C. Shea butter is rich in fatty acids that hydrates skin while trapping in moisture. Rose hip oil is great for ageing and distressed skin, leaving it feeling moisturized and conditioned. This bar is scented with rose geranium and jasmine essential oil for a floral scent. Topped with mini pink rose petals. Each bar is topped and infused with rose petals straight from my organically grown garden, I harvest and dry fresh flowers and herbs by hand. All ingredients are sustainably harvested, picked at their peak state and preserved for your enjoyment. *Natural colorants, never synthetic colors. *Scented with natural essential oils, never synthetic scents. 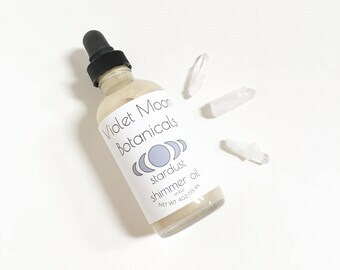 *Pure natural and moisturizing oils. Ingredients: Rose petal infused olive oil, virgin coconut oil, distilled water, sodium hydroxide (lye), shea butter, castor oil, rose hip oil, rose geranium essential oil, jasmine essential oil, rose clay, rose petals. 1 handmade, artisan, hand cut, small batch soap bar- rose garden scented. Each bar weighs approximately 4oz. 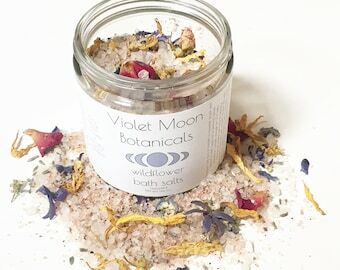 Fore more natural skin cleansers, vegan skin care and cleansers, and other natural beauty products as well as spa and relaxation gifts for Her check out our Etsy homepage!